Show Us the Captions – come to the movies with us! Show Us the Captions is almost here! 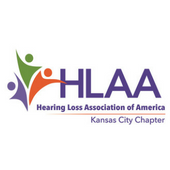 This nationwide advocacy campaign is the brainchild of Sarah Wegley, the social chair for the Chicago chapter of the Association for Late Deafened Adults. Sarah blogs at Speak Up Librarian and tells the story of how Show Us the Captions was born here. The campaign is sponsored by Collaborative for Communication Access via Captioning. You can find out more information about the national campaign by checking out the Show Us the Captions Facebook page, or by checking out CCAC’s “Show Us the Captions!” page on their website. 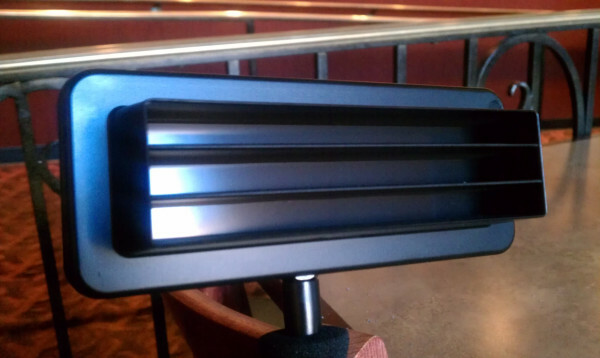 AMC 30 and both Cinemark theaters offer CaptiView devices, and will have several movies and times to choose from. If you would like to join us at one of the theaters listed above, please sign up on our event page on Sign Up Genius. This allows us to ensure that there will be enough CaptiView devices available for everyone for that time period. If you are interested in seeing an open-captioned movie, Regal 18 will be showing the movie Skyfall open-captioned at 4pm. You do not need to reserve a captioning device for this showing, but please sign up so we know how many people to expect. Friends and family are welcome – the more, the merrier! And if you can’t make it to the movies with an HLAAKC group, no worries! Please feel free to attend whenever you can make it – we simply want to thank the theaters for their accessibility and increase public awareness of movie captioning. So grab a friend or two and go to the movies! If you would like to see a movie on your own, here are links to the theaters in Kansas City that have told us they have captioning available for their movies. Captioned content and movie times are subject to change, so be sure to check with the theater before you go. If you have any questions or are having trouble signing up, shoot us an email at hlaakc@gmail.com. We’re happy to help! When I was a child, I didn’t have a lot of options when it came to my hearing loss. I could only choose from the few analog hearing aids available. Going to see a movie in the theater was the stuff my dreams were made of. Talking on the phone was out of the question. I could only be accommodated as much as technology would allow. Today, I get to choose. My hearing aids have gone digital, my CapTel phone gives me the freedom to chat and – at long last – my movie dreams are being fulfilled. I heard that Cinemark added a new closed captioning device called CaptiView to their Plaza location and decided to give it a try. My friend and I went to an evening showing of Rise of the Planet of the Apes. We ordered our tickets and received the equipment without incident (though one of the employees didn’t seem quite sure what we were asking for… the manager came along and helped us out, though). The screen attaches to a bendable “neck” which is connected to a solid “anchor” that fits in your cup holder. If you’ve ever used Rear Window Captioning (RWC), the general design is similar. Unlike RWC, the CaptiView system is much steadier – the screen mostly stayed in one place when I adjusted it. However, the anchor part had a hard time staying in the cup holder – I think the CaptiView could use a minor redesign so that the screen part isn’t heavier than the anchor. I ended up holding the anchor in place so I could enjoy the movie without moving the screen every few seconds. The captions run on a different technology than RWC and do not reflect captions from a screen at the back of the theater the way that RWC does. Instead, the captions run on a “wireless band frequency” and I will tell you right now that means nothing to this former English major. 😉 What it does mean is that I did not have to sit in a specific area of the auditorium in order to reflect any captions – I got to choose where I wanted to sit! The CaptiView screen is not very large, less than a foot wide and a few inches tall (I hope you appreciate my precise measurements there… again, former English major. I don’t speak numbers.). There are three slants that divide each line of dialogue. The CaptiView information sheet explains that this is to ensure privacy and minimize disruption for neighboring patrons. The slants did not bother me too much but because the CaptiView would tilt slowly (even while I was holding the anchor), the slants would obscure some of the text, so I would have to fidget with the screen every now and then. The text itself was easy to read and I was able to (mostly) position the CaptiView device so that it was, from my perspective, right underneath the screen. While following the movie wasn’t quite as effortless as it would have been with open captions (seeing all the action and dialogue on the same screen), it still was a much more seamless experience than my past encounters with RWC technology. The text size was not an issue for me, but it was definitely much smaller than open captions or TV captions are. Some people may find it helpful to bring their reading glasses or be prepared to adjust the screen so that it is closer or further away. There were, however, a few downsides and some of them just boil down to my personal preference and perception. I’m not crazy about the extra work required for someone who is deaf or hard of hearing to see a movie. Requesting the equipment sometimes creates an awkward exchange if the employee behind the counter isn’t sure what you’re talking about. Walking through the theater with the device and then fidgeting in my seat to adjust the screen draws a bit of attention and I’m a shy lady… so feeling a few more eyes on me is not the most comfortable experience. I found it hard to get “lost” in the movie because I kept flickering back and forth between the CaptiView and the movie screen and had to adjust it every once in a while… I had to think about what was going on in the movie AND whether or not I was getting all the information. I’m still pining for the days of open captions, but I think that the CaptiView system is a valiant effort to fill the gap between RWC and open captions. If you’re interested in seeing a movie at Cinemark on the Plaza, you can check their website, give them a call at 816-756-5877 or email them at E271@cinemark.com.